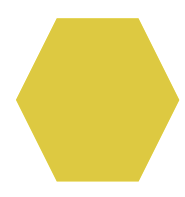 Can you tell your hexagons from your heptagons? 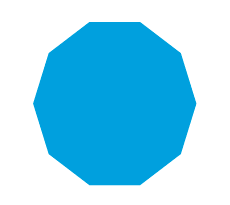 Your octagons from your decagons? 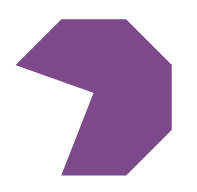 We explain how polygons are taught in primary school, with examples of regular and irregular versions of each multi-sided shape. 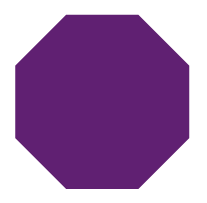 A polygon is a flat, two-dimensional (2D) shape with straight sides that is fully closed (all the sides are joined up). The sides must be straight. 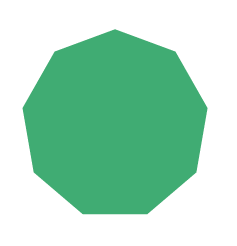 Polygons may have any number of sides. 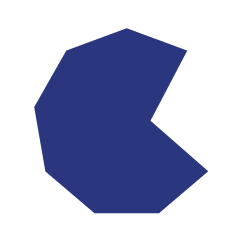 A polygon A shape with curved sides is not a polygon. 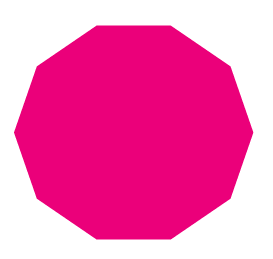 A shape that is not fully closed is not a polygon. 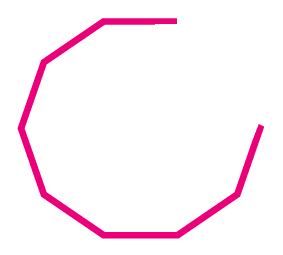 A regular polygon is a polygon in which all sides are of all the same length and at the same angles. *A regular quadrilateral has a special name. It is called a square. 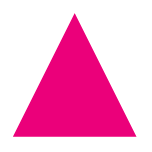 *There are different types of triangles: an equilateral triangle is a regular triangle and a right-angle triangle and an isosceles triangle are examples of irregular triangles. Year 1 Children are taught to name common 2D shapes including polygons such as squares, rectangles, triangles, pentagons, hexagons and octagons. Children may learn the shapes through matching activities, going on a shape walk in the school grounds, flash-cards and games. They will look at real-life examples of shapes as well as pictures. Year 2 Children will be taught to identify properties of shapes such as the number of sides and vertices (corners). Children will count the number of sides and corners on the shape. 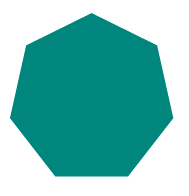 They will describe shapes using the properties, for example: This shape has 3 corners and 3 sides. 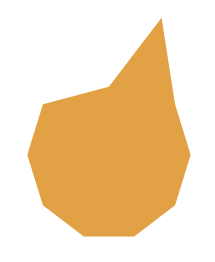 What is the shape? 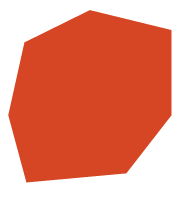 Year 3 Children will extend their knowledge of polygons to include different types of triangles and quadrilaterals. They will be introduced to heptagons, nonagons and decagons. 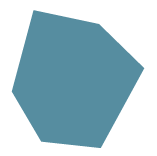 Knowledge of shape properties will include angles and symmetry of these polygons. Children will describe shapes and identify them using their properties including symmetry and angles. They might be asked to sort shapes according to their properties using Venn diagrams and Carroll diagrams. Year 4 Children are taught to compare lengths and angles of polygons to decide if they are regular or irregular. The vocabulary ‘polygon’, ‘regular’ and ‘irregular’ will be used. 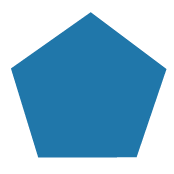 Children will be given a range of polygons to sort into regular and irregular; this might be be completing practical tasks or using ICT. Year 5 Children will be taught to distinguish between regular and irregular polygons based on reasoning about equal sides and angles. Children will be given shapes to sort and asked to explain why the polygon is regular using the properties of angles and sides. Year 6 At the end of KS2 children begin to find unknown angles in regular polygons. 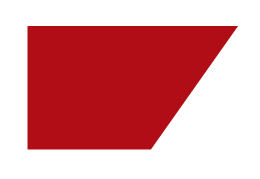 Children will be shown how to calculate unknown angles in polygons using their knowledge of angles and a given formula. 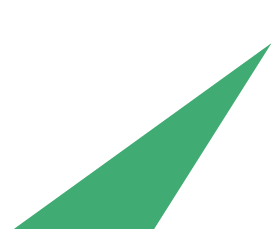 It is important to remember that all the internal angles of a regular polygon are equal. In Year 6 children use this knowledge and the following formula to calculate the size of the angles. Where n is the number of sides.